These 18 SaaS providers go out of their way to meet the unique needs of marketing agencies. Agency partner programs have been generally regarded as an afterthought until the last 5 years. Not many marketing technology (martech) companies had partner programs back in 2009 when I launched HubSpot’s agency partner program. I had been a Constant Contact partner previously, but I knew of no other programs. As a result, very few people at HubSpot thought it was a good idea. My CEO wasn’t even onboard. Fast forward to right before I left HubSpot in January 2017. We had built the HubSpot Partner Program to a $100M annual run rate and more importantly, helped more than 3400 agencies grow alongside us. This time around, as the CEO, I have committed to building the best agency partner program that exists. I often tell the Databox team we’re building an agency partner program to end all agency partner programs. In the six months that we’ve focused on it, we’ve quickly added 80+ agencies. But, we still have lots and lots of work to do. I hope you’ll join us on the journey. As part of my process for designing our program, I’ve been reviewing other programs. And wow — there’s a lot of them nowadays. Yet, there’s no list of them anywhere I could find. This post is meant to fill that void. To start, clients use marketing technology — a lot of it. The average marketer uses 12 tools and the average enterprise marketer uses 91. Most companies need help selecting, setting up and using these tools. Second, new software enables new services. By definition, digital marketing requires software and as digital marketing spends continue to boom, the future is clearly software-enabled. Therefore, you must at least know how to implement and use marketing software to offer any digital marketing services. Third, martech companies are investing heavily in client acquisition. With freemium models, self-service adoption, massive content marketing and paid ad budgets, they have a distinct advantage over agencies when it comes to client acquisition. But, by co-marketing with these companies, agencies can draft off their growth. In fact, many agencies I know get all their new clients by marketing to the install base of software companies and via referrals directly from the teams inside those same software company. Fourth, martech companies generally don’t compete with agencies. If you’ve ever experienced channel conflict with the direct sales team of a software company, you know they might step on your toes as you try to sell your services, as they hurry to close their software deal. But, they rarely offer marketing services and will often waive their implementation fees if you’re providing setup and training services. And finally, you should check out all these programs because they want to give you a cut of their revenue through discounts and commissions. You’re going to be using the software anyways. Why wouldn’t you take their money? All in all, joining partner programs (and I do recommend you join multiple) and devoting resources to capitalizing on them, is a no-brainer. If you’re new to joining agency programs or just rethinking your strategy, I recommend picking at least one core platform where you’ll focus much of your energy. Today, “core platform” companies tend to have lots of customers and mature partner programs. Depending on your service offerings, these companies qualify: Salesforce, HubSpot, Marketo, Acquia, Shopify or maybe even Mailchimp. They’re so big, most of them didn’t even respond to my request for more information. As a result of their size, you might not get a lot of attention from these companies until you’ve proven yourself. But, because they’ve partnered with thousands of agencies before you, you can expect well-run sales, onboarding and partner management experiences. Obviously, I’m a bit biased towards HubSpot’s partner program since I built it. Agencies should join HubSpot’s program to improve recurring revenue. Because HubSpot’s software has always been so broad, it enables a whole slew of services that can be offered on ongoing basis. This enables an agency to package up a set of services that command a monthly fee for the client. 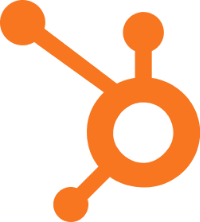 Most HubSpot partners provide blogging, lead generation, marketing automation and some form of sales enablement. Together, these services enable an agency to grow traffic, leads and revenue for each of their clients month over month. They also have a new partner program for CRM and sales consultants lead by one of my proteges, Brian Signorelli, and a program for software companies they call HubSpot Connect, lead by Al Biedrzycki, who cut his teeth in marketing for HubSpot’s agency program. Databox is actually one of just a few HubSpot Premier Connect partners, since we have more than 500 mutual customers. Acquia’s program allows agencies to build, deliver, manage and optimize web applications at massive scale. Their enterprise web content management capabilities include CDN, e-commerce and personalization tools. You can build and manage websites that handle all the traffic your clients can garner, with all the personalization consumers have come to expect. 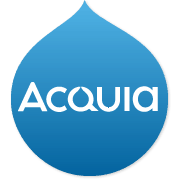 Some of the biggest sites on the web are managed by Acquia. Because the platform is built on Open Source, more of the project budget goes to the agency. Their API-oriented architecture makes it easy for agencies to join disparate technologies and data sources. From a service perspective, they also have a “partner delivery” enablement team that provides support strictly to partners. With 1000+ partners in their directory, they must be doing something right. An alternative to Acquia, Pantheon’s program, with more than 1,000 agency partners, is a well-established development and hosting environment. A platform for agency website developers to build, launch, and manage their client websites, it replaces the need for do-it-yourself DevOps (Development Operations). Mid-sized agencies who launch Drupal and WordPress sites without Pantheon’s platform usually spend $100K a year in un-billable DevOps time. After you partner with a core platform, take a look around for new and complementary software companies. While you may need to help them fine tune their program, you’ll have a front row seat, access to executives and a lot more leverage in the relationship. Because I’ve written a few articles about how we built HubSpot’s program, I constantly get asked for advice by others starting theirs. As a result, I often hear about new agency partner programs before others do. Here’s a few that are brand new, but offer lots of potential. SeventhSense allows agencies to increase delivery, open and click rates for email marketing campaigns, as well as help clients increase sales connect rates. It integrates with both HubSpot and Marketo and uses data from those systems to identify the days and times individual recipients have interacted with your content. Then, it sends your next campaign to each individual based on their specific habits. 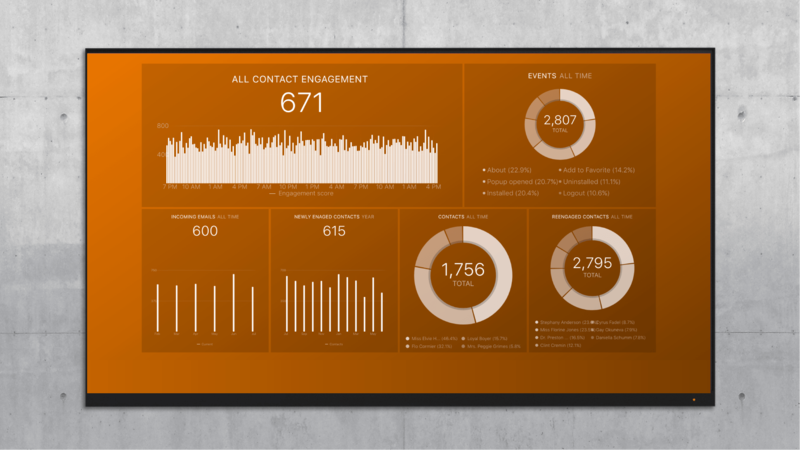 SeventhSense also enables HubSpot CRM users to time their phone calls and prospecting emails too. To report SeventhSense results to clients, you can leverage Databox’s integration. Apply to be a SeventhSense agency partner. VOIQ is like marketing automation for sales calls. It gives marketers and marketing agencies the ability to create call scripts and surveys, then employ an on-demand, trained and tenured team of salespeople to make calls on behalf of clients. They record every call, capture every answer and book calls for more senior salespeople at your clients. So, instead of generating leads for your clients, use VOIQ to book qualified sales appointments. They integrate with Salesforce and HubSpot to make sure you get the call data you need. Additionally, they use artificial intelligence to improve call scripts as they go. And with their integration with the Workflows feature in the HubSpot Marketing product, you can trigger a call in a timely manner, increasing your client’s chances of connecting with the leads you’ve worked so hard to generate. VOIQ puts control of sales prospecting in the hands of marketers and their agencies, but without the hard work or the guessing games. Inquire here. For reporting purposes, pull VOIQ data into Databox here. Fullystory provides session replay and customer experience analytics to agencies and their clients. FullStory allows companies to search on *any* action taken in their app, site, or store and immediately surface all sessions that match that criteria. Agencies can use it for conversion rate optimization (CRO), UX design and software debugging. Their program is pre-launch, so inquire here. Ceros is a design studio to create interactive content experiences (ebooks, infographics, landing pages, micro-content) without any coding or dev work. Interactive content empowers agency teams to gather smarter insights, boost engagement, and drive conversions. Essentially, agencies are able to create premium content without the strain of traditional development work. They’re liberating the form from the static landing page. Their HubSpot integration allows companies to gate from within their content experiences; boosting conversions and improving lead quality. Here are a few examples of the ways that agencies use their interactive tools. The following programs are all run by established software startups that do one thing really well. They have brand recognition and a relatively large customer base, but aren’t so big that you’ll get lost. Each of these companies in this group reported to me that they have more than 100 partners. Wistia and Sprout were the only ones with more than 500 and 1000 partners, respectively. So, it’s still safe to call them startups, just don’t call them small. It’s important to partner with one or two of these companies. Although they’re growing fast, you’re still getting in early enough where you can more easily become an important partner for them. Since most of these companies do just one thing really well, partnering with them also allows you to round out your offerings (or specialize your offerings) in that one thing too. Wistia helps agencies run full video marketing campaigns for their clients and prove ROI with detailed video analytics. We’re happy users of Wistia (and have an integration with them too). Their player provides smooth video playback on any device, with no ads. (Take that, Youtube!) They help with video SEO and interactivity and integrate with top marketing automation platforms too. They satisfy some other common needs that business have too, like password protection, gating and domain restriction for private sharing of videos. These come in handy for sharing with clients. 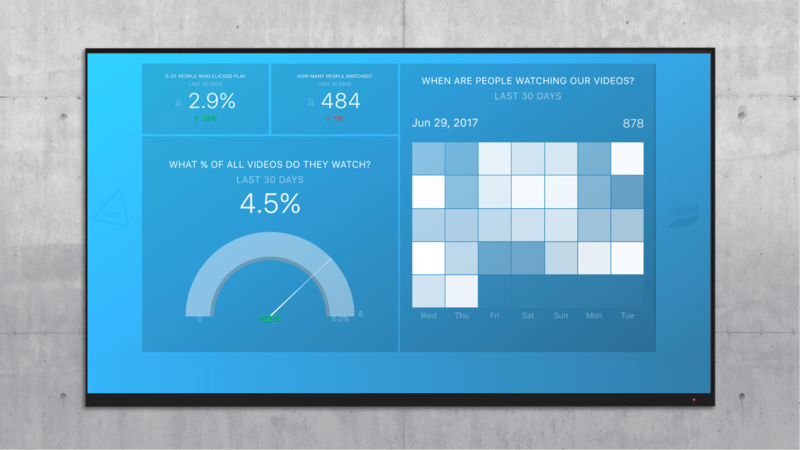 But, the best part of Wistia is being able to track who’s watching what, which will help your client’s sales team. Like HubSpot, Wistia encourages and trains agencies to offer retainers for their video services. That wasn’t so surprising after I realized that a former HubSpot employee, Dee Dee de Kenessey, runs the program. If you need one more reason to join: Wistia’s program costs nothing to join. All that you need to join is a free Wistia account – no fee nor terms or conditions. A competitor of Wistia’s, Vidyard sits between Wistia and Brightcove in terms of sophistication and cost. They also go beyond just video hosting and management, by helping businesses drive greater engagement in their video content, track the viewing activities of each individual viewer, and turn those views into action. Deliver personalized video experiences at scale with integrations with all the major marketing automation platforms. More closely attribute the impact of video on their team’s KPIs. Easily record and send custom video playlists out to prospects right from their favorite email client, or CRM platform. Receive notification every time a prospect watches the videos they send, or those distributed by their marketing team. For agencies, they’ve rolled out the red carpet. From day one, every Vidyard partner is able to develop their own video strategy with a dedicated Partner Success Manager. ViewedIt Enterprise, a paid version of their free tool, is a sales tool focused on prospecting into accounts, is included for every partner. Event live streaming services to easily distribute content both during and after the event in an on-demand video hub to turn viewers into customers. Fitting for an enterprise level partnership, they provide a dedicated launch manager, a Partner Success Manager that builds out a quarterly business plan to drive partner led opportunities, a Partner Account Manager to help co-sell, and a Channel Program Manager that leads all co-marketing activities. Big e-commerce hosting platforms like Shopify or Magento do not have robust marketing functionality. If you have used one of them, you have probably experienced this first-hand. Klaviyo fills that hole perfectly and does it at a very reasonable price. With Klaviyo, agencies can help e-commerce clients leverage their data to power better marketing. Practically speaking, the system targets, personalizes, measures and optimizes email and Facebook campaigns. 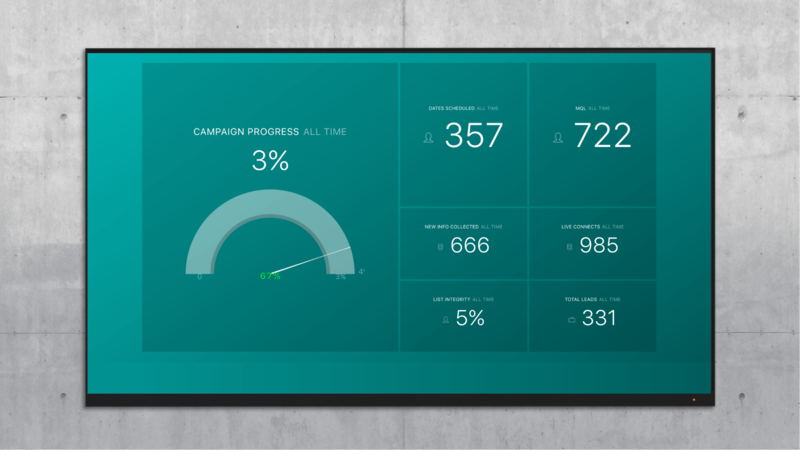 With Klaviyo’s built-in analytics, agencies can easily show off the ROI they generate too. The best part is that agencies don’t have to re-invent the wheel, since Klaviyo’s Segmentation feature offers the pre-configured marketing automation that e-commerce companies should be doing. As with all of these companies, agencies can benefit from new products as they’re launched. Klaviyo started by offering email marketing automation, but more recently expanded into Facebook ad/campaign management software too. With Facebook ad revenue set to reach $33.76B in 2017, agencies should be looking for solutions like Klaviyo to help their clients spend that money more wisely. As a bonus, top partners receive priority support and introductions to customers looking for help. All partners get invited to list in their partner directory. Apply here. Sprout Social, as you probably know, is one of the leading social media tools. They enable publishing, engagement and reporting of social media results. In addition to cross-platform publishing, it’s designed to provide the simplicity of an email inbox for social engagement. They provide a cross-channel stream of incoming social messages, which enables users to work from the stream to respond, tag, task or mark messages as complete. Small companies and big brands use it, alike. So, their program works for solo consultants as well as some of the largest global agencies. They clearly fall into the “best of breed” category and have successfully spanned the market. If your primary service offering is social media marketing, you’re most likely already a partner. And if you want to be doing more social services, you should check them out. Since Sprout provides tier-based pricing packages to agency partners (this is unique in the social space), it makes them more affordable to agencies. The program is run by a former HubSpot Partner, Tara Robertson. Plus, one of the most beloved HubSpot account managers, Buck Flather, is now leading up their agency sales efforts. The Unbounce landing page drag-and-drop builder allows agencies to build, launch and test custom landing pages and website overlays for their clients. Their service works well if you want to focus on growing leads, sales and signups for your client, but you don’t want to invest in a full marketing automation platform. Their partners offer landing pages and overlays a la carte or as a value-add in any marketing campaign, from PPC to inbound. Unbounce’s A/B testing software allows agencies to add conversion optimization services to their toolkit as well. With integrations into the major marketing automation tools, Unbounce can help agencies provide the best results possible with best-of-breed tools. Unbounce has a smaller number of partners, so if you’re doing conversion optimization and want some extra attention, they are a no-brainer solution. Check out their partner program or their Call to Action Conference. Contentools allows marketing agencies to manage customer content at scale – as well as hire freelancers whenever needed. They allow you to manage all of it in the same place. You can now register each of your customer’s content strategies, specify teams for each of them and automate all their workflows as much as possible. The tool also integrates with WordPress, Hubspot COS, Twitter, LinkedIn, Facebook, Instagram and Zapier. It keeps track of real-time content status, projected publish date and ensures that if there are delays, the proper team member gets a notification. Besides all that, it has a friendly customer interface which you can customize with your brand colors and logo. You can also add your customer into the workflow so that they can keep track of what’s going on and approve content before it’s published. Apply to be a partner here. Ruler Analytics gives marketing agencies the data they need to prove a complete ROI of their campaigns. Unlike other analytics tools, Ruler Analytics provides conversion reporting for phone calls, form fills and live chats, meaning agencies get the credit whichever method the lead choses to use as a touchpoint. Ruler Analytics also closes the loop between sales and marketing by integrating marketing data with popular CRMs: Salesforce, Microsoft Dynamics, Pipedrive and more. Teams can get an end-to-end overview of the success of their lead generation based on closed sales, not just contacts created. For agencies, Ruler Analytics offers a revenue share, sales training and managed services for all of their clients introduced to the platform. A Partner Account Manager is assigned to every account, so you’ll always have someone on hand to talk to. You can learn more about the partner program here. Every agency dreams of going upstream and landing those bigger clients. The money larger companies spend on marketing and advertising can put an agency on the map and make its owners wealthy. But, most agencies start small and very few get that big break. Agencies can partner with these firms to take a bit of a short cut. All of these firms enable an in-demand offering suited for larger companies. Use a partnership with them to get in the door of those larger accounts. Snapapp’s interactive content creation platform lets agencies easily develop interactive, engaging content to help clients capture, nurture and qualify leads. Imagine being able to create these things without development resources. That’s what SnapApp enables. As a bonus, agency partners can use the SnapApp platform to create content for their own marketing efforts at a heavily discounted rate and a sandbox for creating mock-ups for prospects and clients. They also integrate with almost all marketing automation tools to enable more sophisticated nurturing. Uberflip allows agencies to build an engaging destination for a client’s audience, no matter their stage of the buyer journey or their interests. Uberflip starts by aggregating all existing content and content channels into one platform, creating a dynamic destination for the end user, rather than a static landing page. By creating compelling content experiences, Uberflip boosts engagement and generates and nurtures leads more effectively. Struggling to make content marketing work for your clients or just want to get better results from the content you’re already creating? Use Uberflip to determine what content is working, and repurpose it so it performs even better. Uberflip is especially good for agencies offering account-based marketing or sales enablement services, since it makes it easy to create curated content and pages that are applicable to small groups of users. Uberflip integrates and augments marketing automation platforms by allowing the gated content too. They have a relatively small number of partners, but it’s a two-way street for them: they offer extensive sales support and also refer out to these partners. Obviously, they’re working with companies who value content marketing, so this is a perfect partnership opportunity for any agency focused on that. For media buying agencies, Bizible is able to prove the value of your efforts. It shows which channels, sub-channels, campaigns, keywords etc. drive the most revenue. This helps with optimization and makes it easy for the agency to get credit for their work. For marketing operations and full service agencies, Bizible lifts the strategic value of engagements by providing insights through advanced omni-channel tracking, multi-touch attribution modeling and intelligent machine based learning. Their partner program provide hands-on training, co-marketing opportunities, dedicated support and access to their sales team for help. As mentioned above, we are building an agency program to end all agency programs. By being a central hub for reporting your results to clients, we are a conduit to other software. Our partnerships with companies like HubSpot, Wistia, SeventhSense, VOIQ and our integrations with platforms like Facebook Ads, Google AdWords and Google Analytics, cover 90% of what most marketing agencies need to report to clients. Most agencies start a partnership with us by using our free agency account to automate their time-consuming, manual reporting process for up to 10 clients. Some agencies use the software to run audits and build plans for prospective clients too. Beyond our product, our partner program helps agencies acquire, retain and grow accounts. Through our co-marketing, we send traffic and leads to agencies. Specifically, agencies can contribute report templates to our directory and be notified when others use them. Through our training and assistance, we help agencies use real-time reporting processes to retain existing accounts. Our 1-click report templates (like this one that lets you analyze a client’s blog post perfomance using Google Analytics) help you uncover new insights and sell additional services. And through our partnerships with other software companies, we help agencies increase client revenue by proposing new services. And there’s more we’ll do to help agencies grow that we’re just not ready to blog about yet. By my estimation, there are about 250,000 agencies worldwide. Based on my experience at HubSpot, I believe that agencies do as much marketing work as in-house marketers. If that’s the case, it stands to reason that every martech company should have an agency program. Every sales and services tech company should have one too. Marketing no longer stops once a lead is generated or a customer is acquired. Unfortunately, there aren’t a lot of people who have built these programs. Agencies are not Value Added Resellers and therefore, traditional channel sales models don’t work out as well. As an example, agencies rarely resell software. Instead, they usually use software on behalf of clients or recommend software as they sell the services enabled by said software. To make sure you’re joining a program that’s thought through the uniqueness of an agency, here’s a list of questions you should ask. Internal use: Do you offer free or heavily discounted product for our agency’s internal use? Commission/Discounts for client accounts: Do you provide a commission when we refer or resell your product or preferential pricing when we bundle your software into our service packages? Public directory: Do you have a public directory where your customers can find a partner? Co-marketing: Do you offer co-marketing opportunities where agencies can publish and promote their content through your marketing channels? Support for events: Do you offer partners the ability to host local events where you provide promotion and/or funding? Lead registration/account creation: Do you provide agencies with the ability to register leads or create accounts so partners can prevent direct reps from pursuing their clients and active pursuits? Implementation training/Support: Do you offer training and support on how to implement your product and services around it? Sales training: Do you offer training on how to sell or position your product and services around it? Sales call support: Do you provide a salesperson to help them on calls with prospects? While some products/programs might not warrant a “yes” to all of these answers, this is a good list to help you vet out different opportunities. What Agency Partner Programs Have You Joined? It’s both a great time and a challenging time to be working in an agency. While software has made it easy to do amazing things, it also brings complexity. In fact, I’ve seen agencies wash out because they were unwilling or unable to adapt to the new world of software-enabled services and data-driven marketing. So, if you’re not ready to sell your agency and retire to an exotic island somewhere, you should join a few of these programs and start integrating them into your service offerings. As you do, please report back. I’ll update this post as I hear about new programs. If you run a program, complete this form to be considered for inclusion.